Recently, as I was running on the scenic recreation trail along the Monterey Bay over near Pacific Grove, I noticed how many people are meandering along the coast discovering our fabulous Monterey tide pools! Much of the rocky coastline along Monterey Bay is ideal for viewing all kinds of the oceans spectacular spineless creatures! Some of the tide pools near Pacific Grove and Asilomar State Beach are world renowned for tide pooling! As a matter of fact, just a few miles from our Monterey Bed and Breakfast is Point Pinos, known as “The Great Tide Pool”, which happens to be one of the richest tide pool habitats in the world! For those unfamiliar with this fascinating and educational past time, it is the activity of climbing around the rocky shore in the intertidal zone (the parts that are underwater during high tide) and discovering the sea life left behind in the small rock pools and crevices when high tide recedes. You will be amazed how many fish, crustaceans and mollusks thrive in this environment. It is a great (and free!) way to enjoy the ocean and the beautiful coastline! Photographers love the opportunity to capture the images of the vibrantly colored sea life in such a naturally beautiful setting. Wear sturdy shoes with good traction for climbing around the wet and slippery rocks. Bare feet are certainly not recommended! No other equipment is really necessary, though cameras are a great idea, and some dry towels at the car might be nice! Our Monterey Bay and its coastlines are part of the Monterey Bay National Marine Sanctuary which provides protection for the delicate (and not so delicate) creatures in the sea. While tide pooling is a fantastic way to enjoy these coastlines, please remember to walk carefully (we don’t know who’s under our feet! ), touch gently with wet hands if you are so inclined, and please don’t pick up the animals. Also, taking the animals is not permitted, and never turn your back on the waves or ocean! With the fantastic weather we get on the Monterey Peninsula this time of year, it’s the perfect time to enjoy the beautiful Pacific Ocean’s wildlife. Give us a call, our staff will get you all set up for a great day of tide pooling, picnic basket and all! 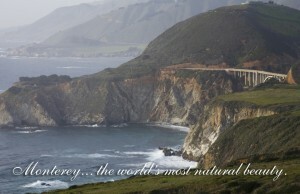 The Monterey Peninsula is one of the most uniquely beautiful coastlines in the world. As characteristic as Ecuador’s Galapagos Islands, Monterey’s coastline boasts plants like the Bermuda buttercup, mariposa lily, California aster, climbing morning glory, coast paintbrush, California poppy, and a variety of grass species. These plants are framed by the stunning backdrop of Monterey’s blue, teal, navy, and clear waves that crash along the rocky shore in ever-changing patterns. 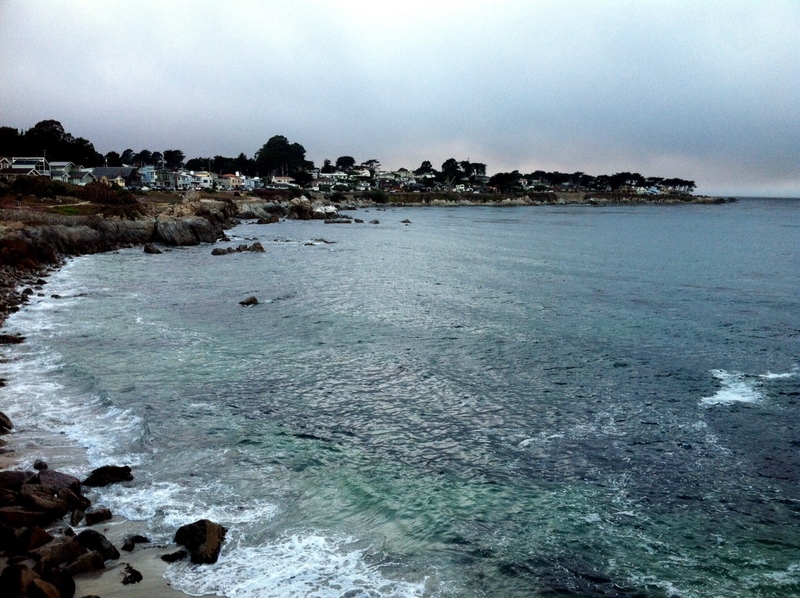 The water draws many people to Monterey and it never disappoints. 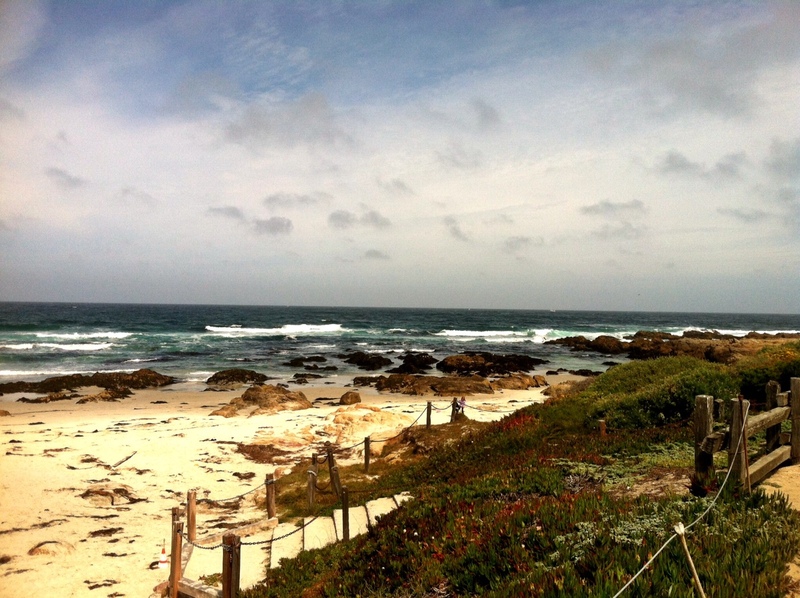 This area is perfect for adventure: enjoy an hour drive along the world famous 17-mile drive and prepare to have your breath taken away—it is widely recognized as one of the most beautiful drives in the world. 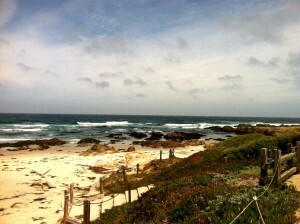 Pack a lunch, put the top down on a rented Mustang, and buzz up and down the stunning 17-mile drive. You’ll be done just in time to swing by our inn in Monterey for our daily wine and hors d’oeuvres. Perhaps just watching the waves crash against the characteristically rocky shoreline just isn’t close enough for you. If that’s the case, you have chosen the right California vacation spot! Adventure awaits and requires only a little bit of planning (and we can help you with the planning!). 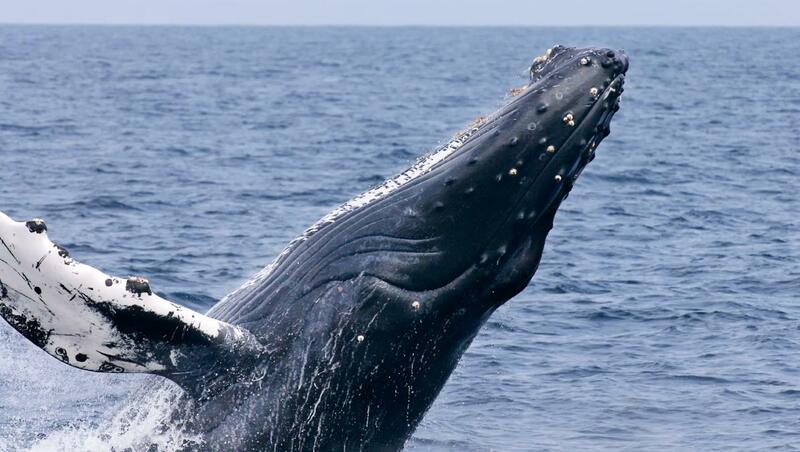 Within one mile of the Inn, you can embark on a whale watching expedition. 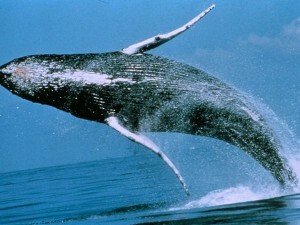 Recent sightings include Gray Whales, Risso Dolphins, Pacific White-sided Dolphins, and Humpback Whales. Get up close and persona l to some of nature’s most spectacular mammals and then return to the Inn to soak in your very own Jacuzzi tub! The Monterey Peninsula also offers sailing, surfing, kayaking (check out our kayak package at picturesque Elkhorn Slough! ), and scuba diving. If you scuba dive, you’re in for a real treat. The Monterey Canyon is an underwater canyon that lies a mile below the surface of the water and is close in size to the Grand Canyon. Discover it for yourself, and you’ll be among a select few who have shared that adventure. We are happy to help get the details all planned out for you. 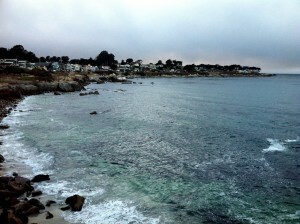 Also characteristic of the Monterey coastline are the immense kelp beds. Whether you’re scuba diving, sailing, walking along the beach or boogie boarding, you’re sure to encounter kelp that is native to California’s Central Coast. Did you know that kelp contains high concentrations of iodine, iron, sodium, phosphorus, calcium, magnesium, potassium, and other vitamins and amino acids?! Soon, kelp will be touted as a super-food alongside kale and Swiss chard! If wild kelp is too much for you, though, visit the Monterey Bay Aquarium’s kelp forest. It is 28 feet deep and is full of crabs, octopus, urchins, rockfish, sardines, sharks, and (of course) kelp! 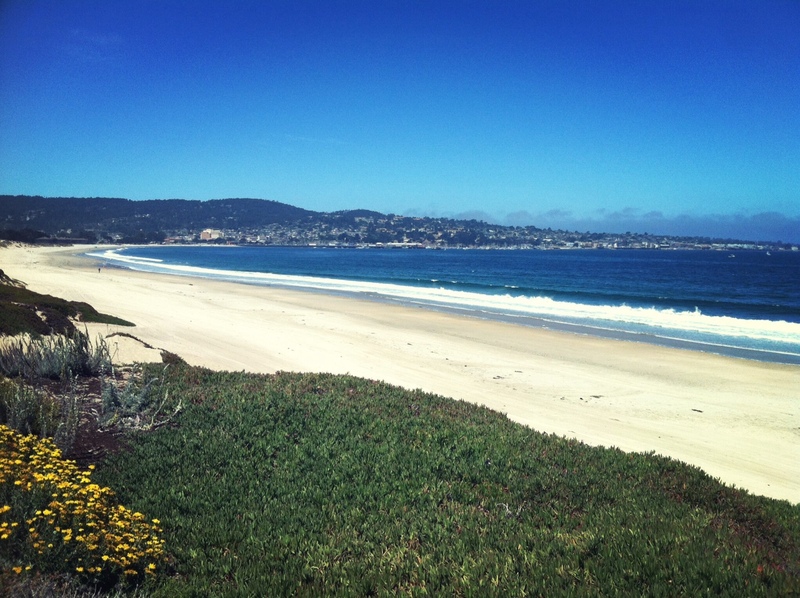 One way or another, kelp will be a part of your adventure into the coastline of the Monterey Peninsula. Don’t worry, though, it’s not part of our gourmet breakfasts! Once you’ve enjoyed all that the Monterey Peninsula has to offer, you might be hoping for a romantic spot to watch the sun set over the turquoise blue waves. The coastline touts many benches for just such an evening, and at the Old Monterey Inn, we’ve taken it a step further. 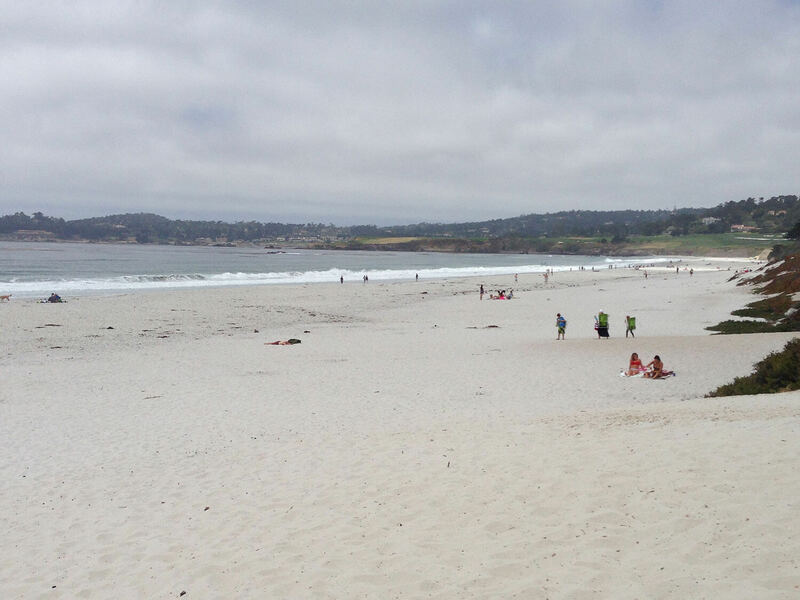 We can set up a private beach bonfire for you on Carmel beach! You’ll walk up to a crackling fire, a bouquet of a dozen red roses, an assortment of artisan meats and cheeses, freshly baked cookies, a bottle of sparkling water on ice, and a fleece blanket. As the sun sets over Carmel beach, the lull of the waves will at once relax and invigorate you. 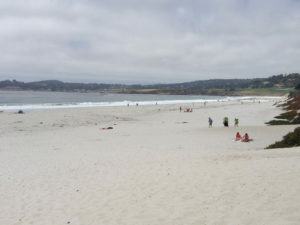 A bonfire on Carmel beach promises to be a spectacularly romantic evening. We look forward to welcoming you to our Monterey bed and breakfast, our unique coastline, and our hearts as you embark on the adventure of a lifetime! For the first three months of this year, the Monterey Bay Aquarium will be having a series of special events that will benefit its member card holders and fascinating exhibits for all. Last month, the Aquarium held members’ night (Gray Whale edition). It is a special extension of the Aquarium’s hours held exclusively for dedicated members of the world famousMonterey attraction. They are having another this month on the last Saturday and Sunday of February, but this one is for sharks! In addition they have a new behind-the-scenes tour of the Jellies. They show you the life cycle of these mysterious floating wisps and they even show you where they get the ones that are behind the glass! Some of our guests have stayed with us solely to attend these events and we are happy to accommodate them! If you have already visited the aquarium and want a closer look at theMontereyBaywe also offer kayaking packages to our guests that allow a more natural visit to the kelp beds or theElkhornslough’s sea otter reserve. Just let us know when you want to paddle away and we will take of the rest! For a more relaxing experience, try our Sunset beach bonfire package and you can observe the ocean from a safer distance as the twilight sun vanishes into its own oceanic reflection. 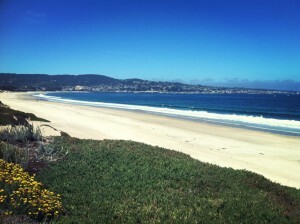 It always seems like there is not enough time when you are here in Monterey. 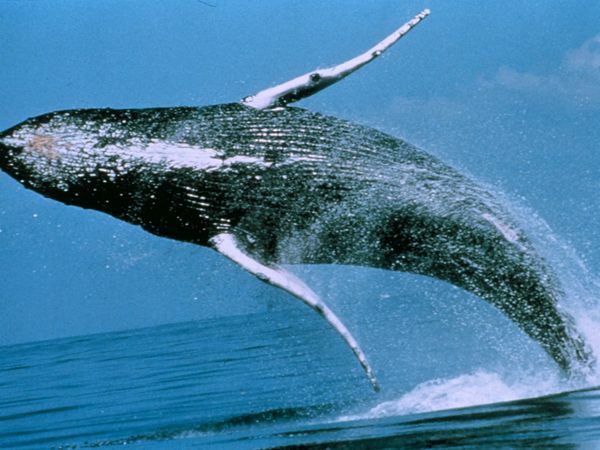 So why not go all out and visit our Monterey bed and breakfast and the Monterey Bay Aquarium. The sheer number of adventure options can be overwhelming. Here at our award-winning bed and breakfast we can help you narrow it down. Our knowledgeable innkeepers are adept at planning day trips, local excursions, and meals that will fit your style of holiday. If you are coming to Monterey Peninsula and need help with an itinerary, call us at the Old Monterey Inn, we will be glad to help! 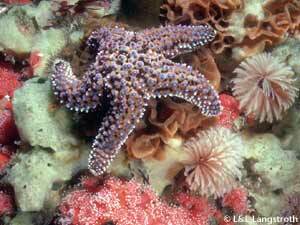 September at the Monterey Bay Aquarium is Stellar! This week, The Old Monterey Inn would like to give special recognition to our beloved and world-renowned Monterey Bay Aquarium. The Monterey Bay Aquarium is an attraction that is iconic of Monterey’s symbiotic relationship with the ocean. Everyone—from the expert oceanographer to the curious child— takes away something special from the Aquarium experience. This past year has seen quite a few additions to the Aquarium’s marine life exhibits. Namely the two newest exhibits, the romantic seahorse exhibit and the 70’s style jammin’ jellyfish exhibit as both are great fun for visitors of all ages. Also, be sure to check out the aquarium’s new Weedy Sea Dragon babies on YouTube. Hopefully, the larger they get, the easier it will be to spot them! Each month the aquarium hosts a medley of events that include dinner at the aquarium, daytime shows, scheduled sea otter feedings, ocean-themed arts and crafts work space for kids, and much more! Just last week two of our guests had a picnic breakfast on the way to an early morning feeding at the Aquarium during which they had the opportunity to feed the fishes! One of this month’s events is to show your support for California’s Ocean at the Allied Arts Guild in Menlo Park on Saturday September 22, 2012. Join the Monterey Bay Aquarium for an extraordinary evening of food and wine featuring some of California’s most admired female celebrity chefs and winemakers. As a favorite Monterey getaway, we strongly encourage guests to save some of your precious vacation time for the Monterey Bay Aquarium. VIP Aquarium passes can be purchased at the Inn. Purchasing them here at the Old Monterey Inn will save you the trouble of waiting in line at the gates and are valid for two consecutive days, so let us know when you would like to visit the Monterey Bay Aquarium. New Jellies at the Monterey Bay Aquarium! Greetings! We just heard some news from the Monterey Bay Aquarium! Being one of the most popular attractions near our romantic getaway in CA, the Monterey Bay Aquarium should be considered a must see during your next visit to the Monterey Peninsula. Our guests at our Monterey bed and breakfast continue to return from their aquarium experiences raving about the variety of sea life and the beautiful displays. The folks at the Monterey Bay aquarium continue to outdo themselves as they have just announced the addition of the “Crown Jellies” to the already fabulous Jellies Experience. Being the first aquarium in the world to display these amazing animals, we feel very fortunate that the aquarium is just a few short miles from our Monterey luxury B & B. 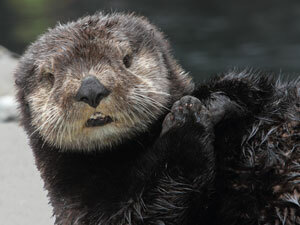 Also during your visit, make sure you meet Abby the sea otter and her playful friends! 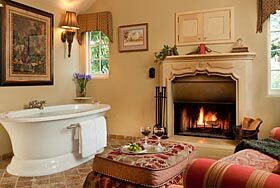 The Old Monterey Inn Bed and Breakfast has two-day VIP passes for sale, no waiting in line! 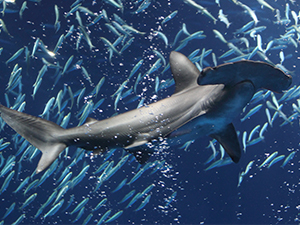 Monterey Bay Aquarium is open from 9:30 am to 6:00 pm (8 pm on weekends) during the summer. See you there!